Hi! 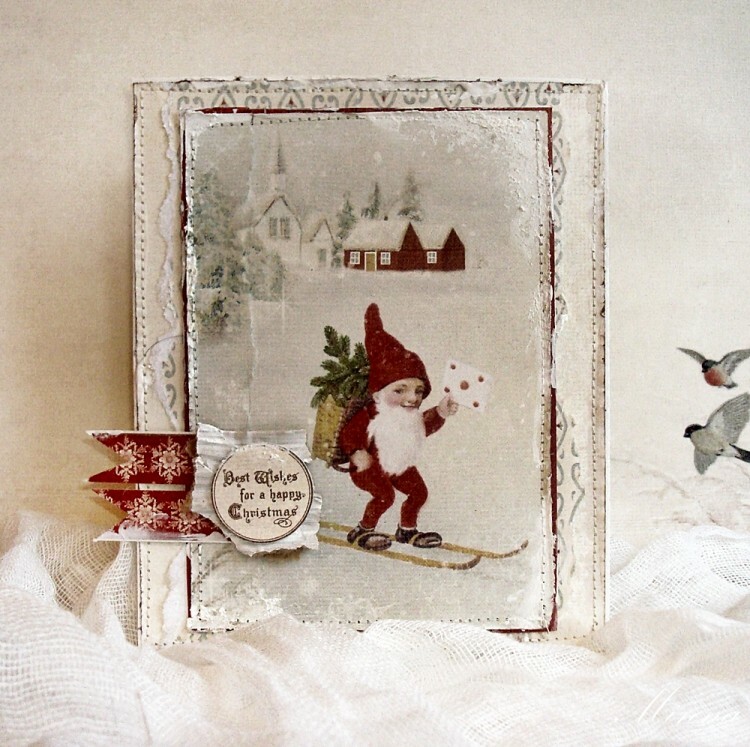 Today I want to show you this Christmas card I made using papers from the Wintertime in Swedish Lapland collection. This cute elf is absolutely wonderful!